If you've been wanting to come back to a domestic sedan, but felt the quality, styling and features just weren't there, the 2012 Chevrolet Malibu is your ticket back to the good old days. Long-legged occupants will appreciate the Malibu's generous legroom both front and rear. Safe convenient flex fuel economy gas optional regular gas. I like my car takes flex fuel gas so I save money on gas as well can also use regular gas, it drives great and only had 1 owner before I leased it, very reliable have not had many problems, can fit up to 5 people, seats can be adjusted to move forward and back steering wheel tilts and moves inward and outward, has latch straps has a 1 disc CD player, speakers sound good for stock radio, 4 door sedan, has front, back and side airbags, front wheel drive, anti lock brakes, has 34,000 miles, oil change and brakes have been changed and kept up with, new tires have been put on and balanced, keyless entry and alarm, remote start has been installed. A couple of months after remote start was installed it did have an electrical problem to the main brain but this has been fixed. Car drives smooth mostly highway miles, about 15 to 16 mpg. Exterior white, interior tan with silver trim, fabric seats, kid friendly, descent size trunk, driver seat also has lumbar adjustment, very comfortable, electric windows, electric mirrors, child safety lock, key for ignition and can use key for entry and to lock and unlock doors. Am/FM radio, clock on radio, speaker can be adjusted to get lower when slowing down and louder when driving, electric info for miles has options for different languages, cruise control, automatic can also be used to manually shift gears, does not drive well in any type of rain is not good to drive in the snow or sleet or hail, has traction control but I personally do not feel that it drives well in bad weather. Small car convenient to get to places I would not travel far. The Chevy Malibu. A very safe and reliable car! My Chevy Malibu has been a very reliable car. I bought it new in 2012 and it has not given me any problems. The seats are very comfortable and the interior is very roomy. Ac and heat work very well. When changing the tires be sure to get the tech to adjust your settings back to read the correct positioning of the tires. If not your air readings will be off. The only complaint I have about the Chevy Malibu is my back window got stuck when rolling it down. It has automatic windows so we had to take the inside facing off the door to pull it back up into place. I have not tried to roll it back down just in case it gets stuck again. 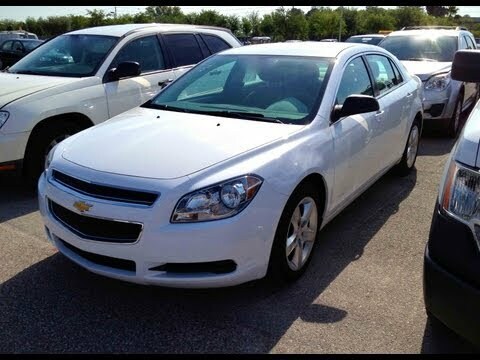 I feel safe driving the car and would recommend the Chevy Malibu as a great reliable vehicle to anyone looking for a small and safe family car. I really love the color of my vehicle which is a goldish color with added chrome features including the rims that came with the vehicle. I also love the comfort and size of my vehicle. I love my vehicle from the day that I received it from the price to the color to the features ( sunroof, leather seats, heated seats, chrome features). The issues that I am currently having is the leather seats are now torn in some areas just from normal wear and tear. The seats from a distance look great but there are a few tears in the driver seat seeing as though that is the most used seat. I did have the heat elements in the seats stop working at one point but because I paid for an extended warranty, they were covered to be fixed. Other than that I have not had any complaints about my vehicle. But keep in mind that I have had my vehicle for 5 years and have added around 100,000 miles to the vehicle.